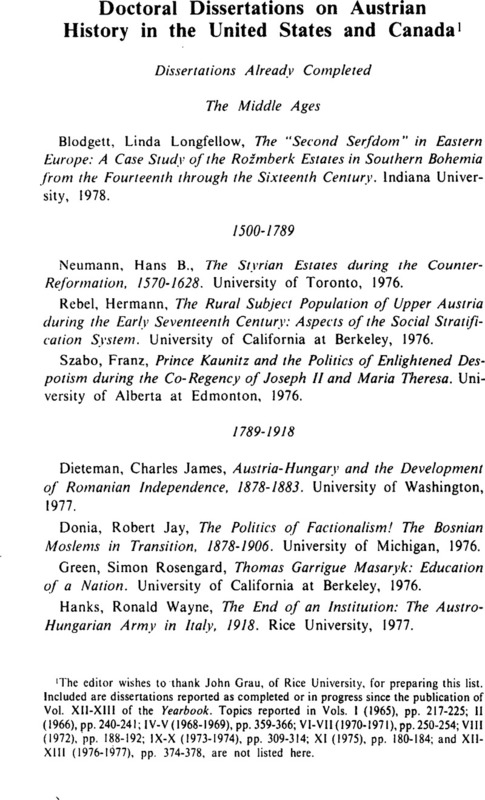 1 The editor wishes to thank John Grau, of Rice University, for preparing this list. Included are dissertations reported as completed or in progress since the publication of Vol. XI1-X11I of the Yearbook. Topics reported in Vols. 1 (1965), pp. 217–225; 11 (1966), pp. 240–241; IV-V (1968–1969), pp. 359–366; VI-VII (1970–1971), pp. 250–254; VIII (1972), pp. 188–192; IX-X (1973–1974), pp. 309–314; XI (1975), pp. 180–184; and XIIXIII (1976–1977), pp. 374–378, are not listed here.